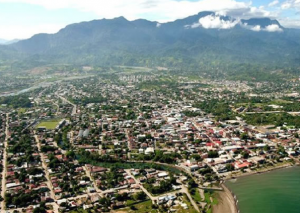 The Oaks will be providing a counseling intensive, La Ceiba Heart Conference, to train and counsel missionaries that work with the poor, marginalized and deaf in rural Honduras this week on March 11-20, 2016. We will be training missionaries in Honduras in counseling and art therapy techniques so the missionaries can use these tools in their village outreaches near La Ceiba. We will also be providing counseling for the missionaries themselves, as many missionaries ministering to marginalized populations experience secondary trauma from the suffering they witness. In addition, we will be coming alongside Signs of Love (a ministry to deaf marginalized children) to minister to some of the deaf children from rural regions around Honduras. Many of the deaf students these missionaries serve have been misunderstood as “cursed”. This is particularly painful as many of the children have emotional challenges, not only from being deaf with limited resources to learn recognized sign language, but also from feeling rejected, as cursed, by their families. We are so privileged to come alongside to help strengthen this amazing ministry serving as the hands and feet of Jesus to the least of these. Would you please join us in prayer for our safe travels, and our training and ministry times? Please pray for the Oaks team as we counsel and care for those on the frontlines, as well as train them in counseling skills! Without Christ and HIS power and love, we can do nothing! We really need your prayers this next week! Please see the below prayer guide for more of our specific requests.